Illustrated with compelling stories from a range of cults and totalitarian systems, from religious to political to commercial, the book defines and analyses the common and identifiable traits that underlie almost all these groups. It focuses on how charismatic, authoritarian leaders control their followers' attachment relationships via manipulative social structures and ideologies so that, emotionally and cognitively isolated, they become unable to act in their own survival interests. Using the evolutionary theory of attachment to demonstrate the psychological impact of these environments, and incorporating the latest neuroscientific findings, Stein illustrates how the combined dynamic of terror and 'love' works to break down people's ability to think and behave rationally. From small local cults to global players like ISIS and North Korea, the impact of these movements is widespread and growing. 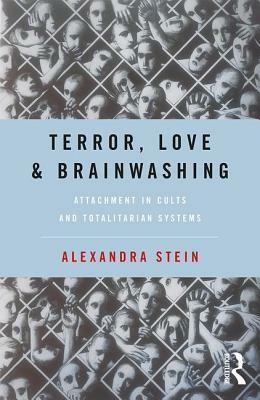 Alexandra Stein is a social psychologist who lectures and writes on cults and totalitarianism. Formerly, she was an associate lecturer at Birkbeck, University of London, UK and has also taught at the University of Minnesota, US and the University of Westminster, UK. As a young woman she was a member of a political cult, an experience she described in her first book, Inside Out.